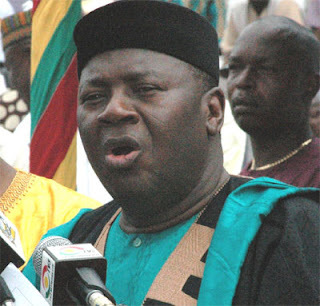 The scheduled, highly anticipated vetting of Vice President Alhaji Aliu Mahama on Tuesday afternoon turned out to be a no show.The vetting committee had appointed 3:00pm to meet and subject Aliu Mahama through the NPP?s vetting process mandatory for all who aspire to be presidential candidate and lead the party to the 2008 presidential elections.He made it to the venue about five minutes ahead of time but to his surprise, no member of the committee was present. Not even the chairman of the Council of State, Prof. Adzei Bekoe was around, and there was also no communication from the party. The Vice President who looked disappointed told journalists that the incident was one of a few challenges within the party which he hoped would be addressed.But he repeated expressed his love for the party and Ghanaians and said it would not break his resolve to go for the topmost post.A publication in the PUNCH newspaper on Tuesday suggested the Vice President may not have a valid party ID card, one of the key requirements for flagbearer aspirants.Coming after newspaper publications which suggest the Vice President?s nomination papers may have been leaked, his campaign team is suspicions. Yaw Buabeng Asamoah, a special aide to the Vice President was of the view that whatever ill-intentions anyone harboured against Aliu Mahama, may not be established. He however, maintained that the party has to explain what caused the obvious embarassment before the next scheduled meeting.So far attempts to get explanation from the party leadership have proved futile.A member of the vetting committee told Joy News he had earlier been informed about the postponement but without further explanation.